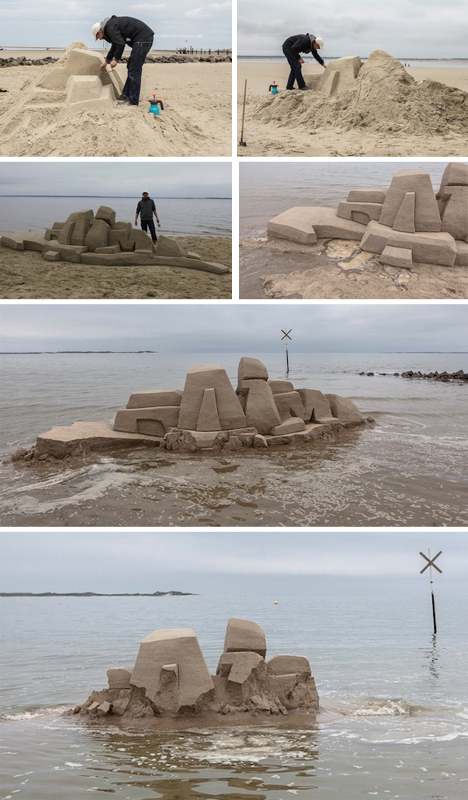 Artist Mirko Reisser has long developed a highly personalized (and profoundly cool) approach to making two-dimensional tags appear three-dimensional on surfaces, but in this unusual project, he created an actual physical object out of sand. 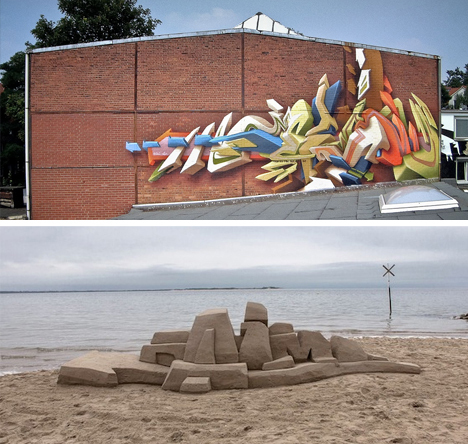 Like anyone building a fort or castle on the beach, DAIM was well aware of the time limits and necessarily temporary nature of this little installation – he documents the role of the tide in first encircling, then destroying this sculptural graffiti. 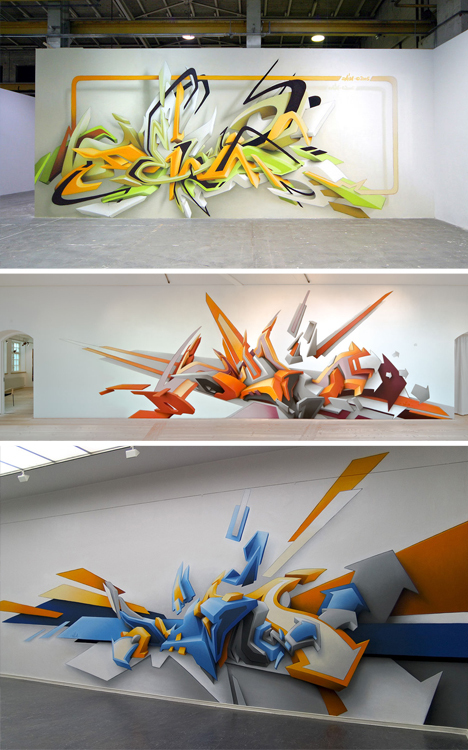 And in case you have not seen is other work, here are some more traditional spray-painted pieces. He has plenty of street tags too, but it’s clear that with the time, space and security of an indoor venue, his attention to detail is able to add incredible depth and dimension to his work.